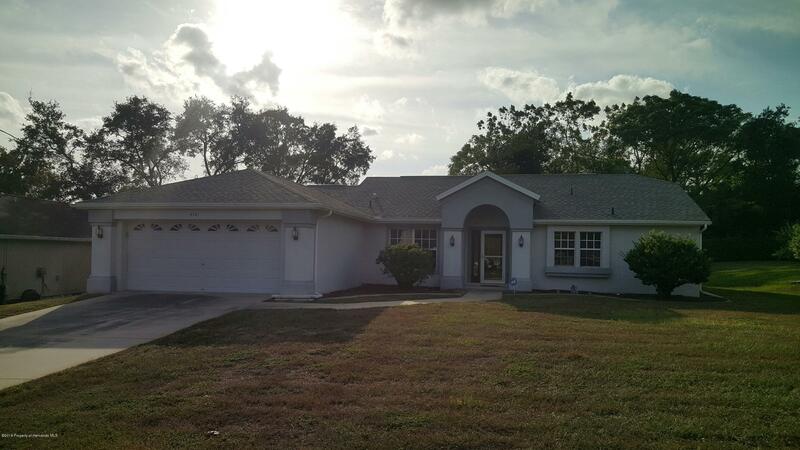 This nice 3/2/2 pool home is ready to move into! All appliances stay including front load washer and dryer. Spacious master walk-in closet. Installed security system. 3 year new dimensional shingle roof. Irrigation system. The pool equipment, hurricane shutters, work bench and peg board organizers in garage stay with the home. Curb-a-lawn edged beds. Lanai has a 220 outlet for a spa. Some furniture will be for sale. Please see attached pages of the Engineer Report for this unrepaired sinkhole property where the anomolies are shown to be in the yard and home has no damage. Full Report is available. Directions: Mariner to west on Augustine.